ASPA’s Center for Accountability and Performance is hosting its annual case study competition. Graduate students interested in studying performance management at work in government are invited to submit an interest form. Professors are also encouraged to include assignments to prepare a case study if teaching courses on performance, measurement or evaluation. Alternatively, they may sponsor independent student analysis. Students interested in selecting a topic in partnership with a practitioner agency or organization and have yet to identify such a partner are welcome to submit a one-page Student Interest Form by Oct. 15, 2014. To submit a form, click on Student Interest Form – CAP Case Study. Organizations that are interested in being paired with a student to work on a study should complete the Organization Interest Form by Oct. 15, 2014. 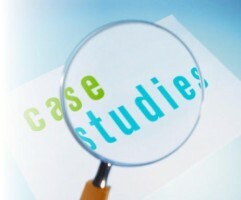 To submit, click on Organization Interest Form – CAP Case Study). All case studies must be submitted no later than Dec. 15, 2014. Case studies should be emailed to [email protected]. Winners will be invited to present as part of a panel at the ASPA Annual Conference, March 6-10 in Chicago. For more information, visit the CAP website or email [email protected].